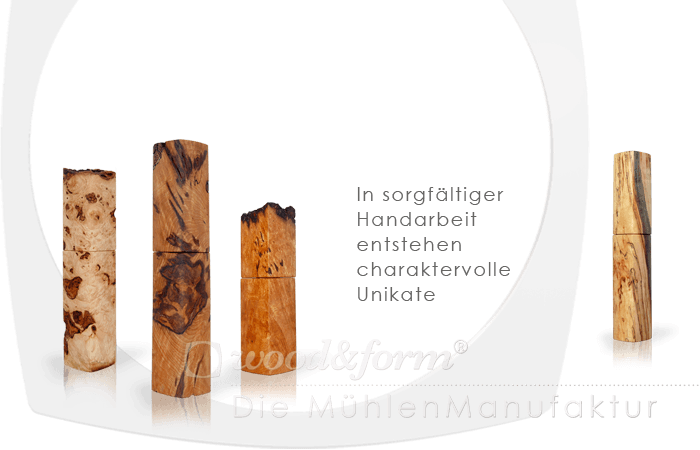 Wood with its diversity of color, structure and pattern is considered one of the most fascinating materials in the world. 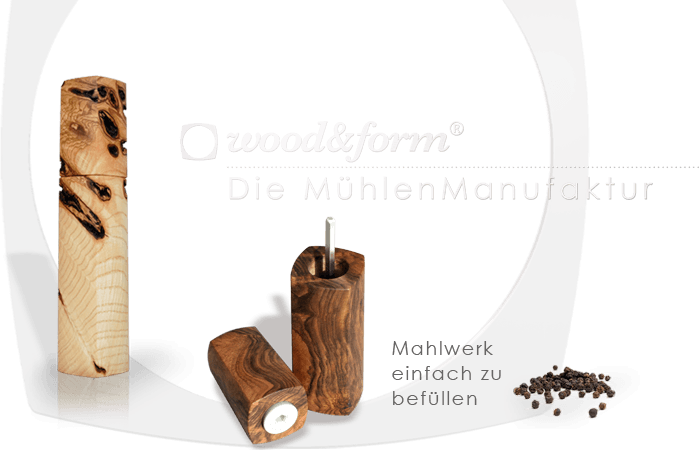 We are constantly looking for the most beautiful and impressive wood for our pepper mills. For 25 years, we have collected and processed such woods and have created countless unique pieces. 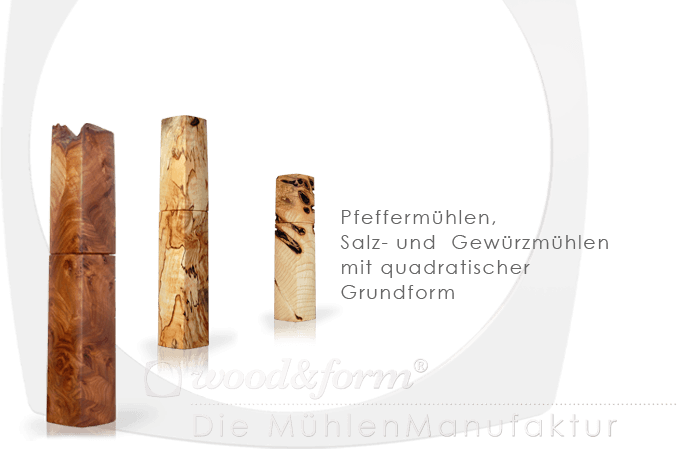 The types of woods range from hazel bush, which grows near our workshop, to a 200 year old sycamore from the old botanical garden in Munich, to burls cut from the Danube flood plain forests, to rare exotic burls. It is in the nature of the wood that we use to have various irregularities. These irregularities often make the unique character of a mill. Mills with ingrown bark and bark edges are very popular and often sell out quickly. For customers who do not prefer this rustic style, we recommend to pay attention to the descriptions. All significant “flaws” are mentioned in the descriptions. We also recommend inquiring about a specific piece before buying your favorite mill online or at our workshop. The small cracks that the material displays are no indication of quality restriction. Instead they make up the special characteristics of our pepper mills. 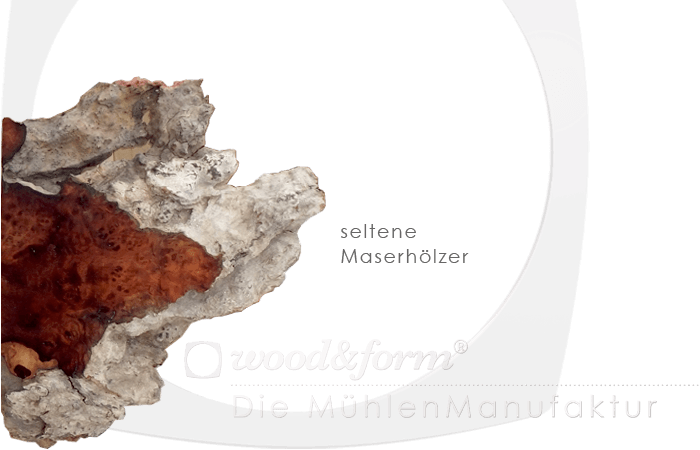 The grains of woods are fascinating elements of nature and can be found in so-called burls, in whole grained trunks, in an accumulation of “sleeping” buds or in the wild growth of hundreds of small branches. Burls are wart-like growths on tree trunks. Another special pattern spawns from split woods. In this case, spores and mycelia of tree fungi penetrate into the pores of the wood and stain it creating patterns. This results in an interesting drawing of fine black lines which mark the boundary of the fungal growth. However, it can also surface discoloration caused by white or blue rot stains. In cross cut wood the patterns can resemble beautiful flowers. The right time of drying is crucial to ensure that the fungi do not degrade and weaken the wood. Woods with exceptional grain are rare finds, which are correspondingly valuable and are usually made into veneer. We mainly process native woods but also some exotic woods from selected timber merchants, reforestation projects or old stock. 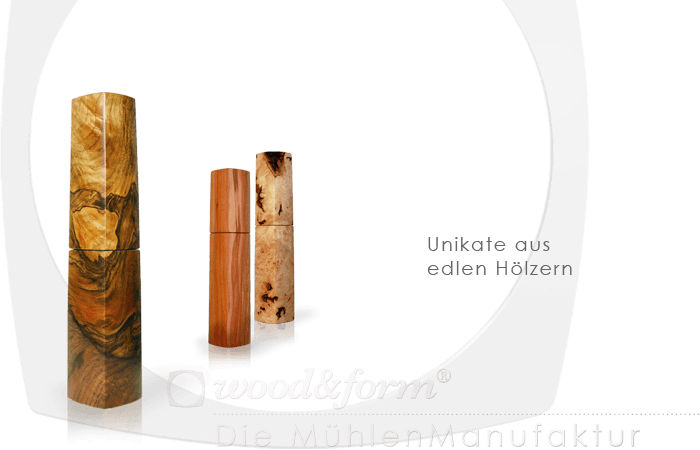 At Woodandform we have also participated in reforestation projects. 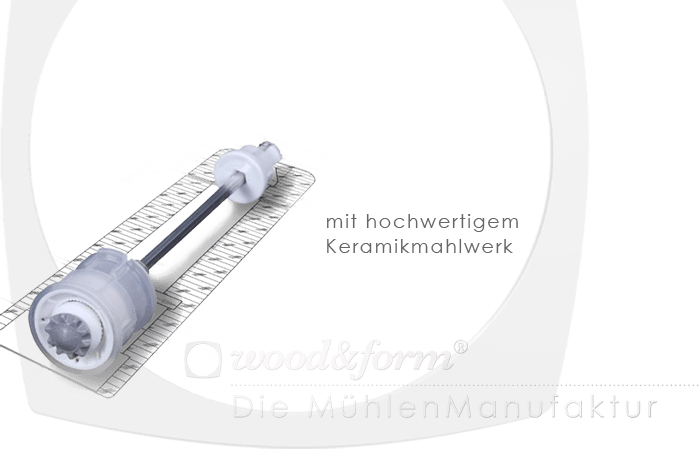 Therefore the origin of our wood is very important to us. A portion of our revenue goes to support the protection of the rainforest. Currently we are supporting the Geo Rainforest project. In our work, we are always fascinated and touched by the beauty and variety which nature produces. Due to the unusual wood our mills are much more than just a commodity – they are objects that reveal new facets with each viewing.